Bones-Tendons-Cartillage Support, Veterinary Natural Alcohol-FREE Liquid Extract, Pet Herbal Supplement Features: ALCOHOL-FREE! NON GMO! GLUTEN FREE! Hawaii Pharm Bones-Tendons-Cartillage Support Supplement contains no GMO, gluten, heavy metals, a.. Cleanse & Detox, Veterinary Natural Alcohol-FREE Liquid Extract, Pet Herbal Supplement Features: ALCOHOL-FREE! NON GMO! GLUTEN FREE! Hawaii Pharm Cleanse & Detox Pet Supplement contains no GMO, gluten, heavy metals, artificial colors, preservative..
Clear Vision, Veterinary Natural Alcohol-FREE Liquid Extract, Pet Herbal Supplement Features: ALCOHOL-FREE! NON GMO! GLUTEN FREE! Hawaii Pharm Clear Vision Supplement contains no GMO, gluten, heavy metals, artificial colors, preservatives or synth..
Colon Support, Veterinary Natural Alcohol-FREE Liquid Extract, Pet Herbal Supplement Features: ALCOHOL-FREE! NON GMO! GLUTEN FREE! Hawaii Pharm Colon Support Pet Supplement contains no GMO, gluten, heavy metals, artificial colors, preservatives or..
Comfrey (Symphytum Officinale), Veterinary Natural Alcohol-FREE Liquid Extract, Pet Herbal Supplement Features: ALCOHOL-FREE! NON GMO! GLUTEN FREE! Hawaii Pharm Symphytum Comfrey Supplement contains no GMO, gluten, heavy metals, artificial .. Cough Stop, Veterinary Natural Alcohol-FREE Liquid Extract, Pet Herbal Supplement Features: ALCOHOL-FREE! NON GMO! GLUTEN FREE! Hawaii Pharm Cough Stop Pet Supplement contains no GMO, gluten, heavy metals, artificial colors, .. Diarrhea Relief-Dog, Veterinary Natural Alcohol-FREE Liquid Extract, Pet Herbal Supplement Features: ALCOHOL-FREE! NON GMO! GLUTEN FREE! Hawaii Pharm Diarrhea Relief-Dog Supplement contains no GMO, gluten, heavy metals, artificial colors, preserva..
Digestion Relief, Veterinary Natural Alcohol-FREE Liquid Extract, Pet Herbal Supplement Features: ALCOHOL-FREE! NON GMO! GLUTEN FREE! Hawaii Pharm Digestion Relief Supplement contains no GMO, gluten, heavy metals, artificial colors, preserv..
Dog Anti-Worm, Veterinary Natural Alcohol-FREE Liquid Extract, Pet Herbal Supplement Features: ALCOHOL-FREE! NON GMO! GLUTEN FREE! Hawaii Pharm Dog Anti-Worm Supplement contains no GMO, gluten, heavy metals, artificial colors, preservatives or syn..
Dog Bowel Support, Veterinary Natural Alcohol-FREE Liquid Extract, Pet Herbal Supplement Features: ALCOHOL-FREE! NON GMO! GLUTEN FREE! Hawaii Pharm Dog Bowel Support Supplement contains no GMO, gluten, heavy metals, artificial colors, preservative..
Dog Extra Calm, Veterinary Natural Alcohol-FREE Liquid Extract, Pet Herbal Supplement Features: ALCOHOL-FREE! NON GMO! GLUTEN FREE! Hawaii Pharm Dog Extra Calm Supplement contains no GMO, gluten, heavy metals, artificial colors, preservativ..
Dog Immune Boost, Veterinary Natural Alcohol-FREE Liquid Extract, Pet Herbal Supplement Features: ALCOHOL-FREE! NON GMO! GLUTEN FREE! Hawaii Pharm Dogs Immune Boost Supplement contains no GMO, gluten, heavy metals, artificial colors, preser..
Dog Immune Complex, Veterinary Natural Alcohol-FREE Liquid Extract, Pet Herbal Supplement Features: ALCOHOL-FREE! NON GMO! GLUTEN FREE! Hawaii Pharm Dog Immune Complex Supplement contains no GMO, gluten, heavy metals, artificial colors, pre..
Dog Immune Plus, Veterinary Natural Alcohol-FREE Liquid Extract, Pet Herbal Supplement Features: ALCOHOL-FREE! NON GMO! GLUTEN FREE! Hawaii Pharm Dog Immune Plus Supplement contains no GMO, gluten, heavy metals, artificial colors, preservatives or..
Dog Joint Support, Veterinary Natural Alcohol-FREE Liquid Extract, Pet Herbal Supplement Features: ALCOHOL-FREE! NON GMO! GLUTEN FREE! Hawaii Pharm Dog Joint Support Supplement contains no GMO, gluten, heavy metals, artificial colors, prese..
Dog Relax, Veterinary Natural Alcohol-FREE Liquid Extract, Pet Herbal Supplement Features: ALCOHOL-FREE! NON GMO! GLUTEN FREE! Hawaii Pharm Dog Relax Supplement contains no GMO, gluten, heavy metals, artificial colors, preservatives or synthetic f..
Dog Skin Aid, Veterinary Natural Alcohol-FREE Liquid Extract, Pet Herbal Supplement Features: ALCOHOL-FREE! NON GMO! GLUTEN FREE! Hawaii Pharm Dog Skin Aid Supplement contains no GMO, gluten, heavy metals, artificial colors, preservatives or synth.. Ear Aide, Veterinary Natural Alcohol-FREE Liquid Extract, Pet Herbal Supplement Features: ALCOHOL-FREE! NON GMO! GLUTEN FREE! Hawaii Pharm Ear Aide Supplement contains no GMO, gluten, heavy metals, artificial colors, preservatives or synthetic fer..
Endocrine Support, Veterinary Natural Alcohol-FREE Liquid Extract, Pet Herbal Supplement Features: ALCOHOL-FREE! NON GMO! GLUTEN FREE! Hawaii Pharm Endocrine Support Supplement contains no GMO, gluten, heavy metals, artificial colors, preservative.. Enhanced Immunity, Veterinary Natural Alcohol-FREE Liquid Extract, Pet Herbal Supplement Features: ALCOHOL-FREE! NON GMO! GLUTEN FREE! 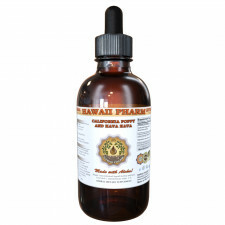 Hawaii Pharm Enhanced Immunity Pet Supplement contains no GMO, gluten, heavy metals, artificial colors, preserva..
Euphrasia, Veterinary Natural Alcohol-FREE Liquid Extract, Pet Herbal Supplement Features: ALCOHOL-FREE! NON GMO! GLUTEN FREE! Hawaii Pharm Euphrasia Eyebright Supplement contains no GMO, gluten, heavy metals, artificial colors, preservatives or s.. Eye Aide, Veterinary Natural Alcohol-FREE Liquid Extract, Pet Herbal Supplement Features: ALCOHOL-FREE! NON GMO! GLUTEN FREE! Hawaii Pharm Eye Aide Pet Supplement contains no GMO, gluten, heavy metals, artificial colors, preservatives or synthetic.. Feline Senior, Veterinary Natural Alcohol-FREE Liquid Extract, Pet Herbal Supplement Features: ALCOHOL-FREE! NON GMO! GLUTEN FREE! Hawaii Pharm Feline Senior Supplement contains no GMO, gluten, heavy metals, artificial colors, preservatives..